A hernia will not go away without treatment. The type of hernia your elderly loved one has may determine the type of treatment he or she needs. Here are some of the ways to identify and treat hernias in seniors. If your loved one is experiencing swelling in the abdomen, this may be a sign of a hernia. It is easier to identify the swelling as a hernia if it gets smaller when your loved one coughs, strains, or stands up. If the swelling goes away when your loved one lies down, it is most likely a hernia and he or she will need to seek treatment immediately. Failing to treat the hernia could lead to severe health issues, some of which may be life-threatening. Seniors can face a variety of challenges as they age, many of which can be mitigated with the help of professional in-home caregivers who provide high-quality home care. Georgetown families trust in Home Care Assistance to help their elderly loved ones age in place safely and comfortably. The intensity of pain your loved one experiences may depend on the type of hernia he or she has, as well as its size. The discomfort seniors experience can be an aching, burning, or gurgling sensation. It is important for your loved one to see a doctor immediately to get the pain under control and to treat the hernia. Spicy foods and tomato-based meals could cause heartburn, which worsen the symptoms associated with a hernia. Your loved one should eat smaller meals and snacks throughout the day and avoid eating large meals. This can help him or her maintain a healthy weight. Your senior loved one should also change his or her eating habits. For example, eating lying down or while bending over can make the hernia worse. Staying physically active could strengthen the muscles around the hernia site and reduce some of the symptoms. Keep in mind exercises done improperly could add pressure at the hernia site and cause it to bulge more. Your loved one’s doctor or physical therapist can provide a list of exercises that are safe to do when treating a hernia. If your senior loved one needs assistance with exercises or other daily tasks, consider hiring a professional caregiver. Families who find it difficult to care for their aging loved ones without assistance can benefit greatly from professional respite care. Georgetown, SC, family caregivers who need a break from their caregiving duties can turn to Home Care Assistance. Using our proprietary Balanced Care Method, our respite caregivers can encourage your loved one to eat well, exercise regularly, get plenty of mental and social stimulation, and focus on other lifestyle factors that promote longevity. Depending on the size of the hernia and how much pain it is causing your loved one, a doctor may decide to operate. The surgical procedure repairs the hernia, and it is generally done by patching the abdominal hole with surgical mesh. Most doctors prefer laparoscopic surgery for seniors because it is the safest and least painful procedure. This type of surgery does not cause as much damage to the surrounding tissues. Hernias can recur after surgery, which is why your loved one will need to make healthy lifestyle changes to prevent the recurrence. When recovering from a surgery, seniors often need extensive assistance once they return home from the hospital. If your senior loved one needs hourly or live-in care, Georgetown Home Care Assistance can help. Our caregivers can assist with exercise and mobility, prepare nutritious meals, provide timely medication reminders, and help with a wide array of other important daily tasks. 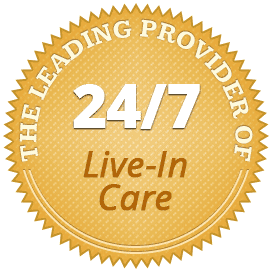 If your loved one needs extensive home care, call us at (843) 353-3105 today.